With more than three decades of Adventure behind him, Australian Eric Philips is back to Antarctica for the 2016-17 season. In 1998-99, Eric Philips (with Jon Muir and Peter Hillary) had done a new route to the Geographic South Pole (90ºS), up the Shackleton Glacier. Weather permitting, in the next week Eric will guide two men from a new start point, up the Reedy Glacier at the far east end of the Ross Ice Shelf. 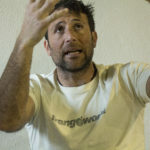 “The start point is not yet 100% confirmed,” Eric told Explorersweb / Pythom at the time of the interview a few weeks ago, “I’m still researching the closest coastline in that area. It’s not easy to find as it’s buried under more than 100 metres of ice. But it will likely be around S85.05 and W145.00.” That is, in a straight line, about 550 km. We caught up with Eric to find out more about how he came about to ‘discover’ this start point, what planning happens behind the scenes, and how the route compares with other routes up the glaciers at the Ross Ice Shelf. Exweb/Pythom: How did it happen that you ‘discovered’ this route? Eric Philips: A few things led to the choice of this route. 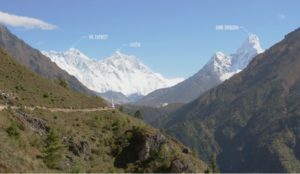 Firstly, I wanted it to be a mountain glacier, as opposed to an ice stream (a glacier bordered by ice), so that we would benefit from the scenery. Once we exit the Reedy Glacier (around 150km from the start and above 2000 m elevation) we will be pretty much void of visual stimuli so it’s nice to get a balance of everything. Secondly, the start should ideally be within range of a Twin Otter flight from Union Glacier Camp that could use existing fuel caches. Once you are required to place dedicated fuel depots the price increases significantly. I also wanted it to be from the contiguous coastline, meaning the geographical edge of the continent. In reality we won’t see a great deal of evidence of being on a coastline as the Ross Ice Shelf merges with the Horlick Ice Stream at our start point obscuring any littoral features. Plus, at around 600 km (around 325 nm), the route is also relatively short. 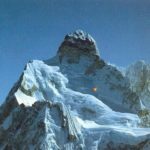 Exweb/Pythom: You have done a new route before (1998-99), how does the planning for this route, and what/how you did back then; compare, in particular, in terms of available technology? 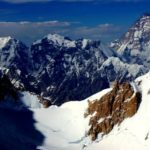 Eric: The best information still comes from maps, aerial photos and anecdotal evidence from scientists who have been on the glacier, or pilots who have flown over, so not much has changed in 20 years. At the moment I am trying to get hold of aerial photos to give me a better idea on what a heavily crevassed region of a constricted portion of the glacier really looks like, and whether it’s likely to give us any serious trouble. In regard to technology: I have now sourced a wealth of photos taken in the 1960’s during aerial surveying of the Transantarctic Mountains. The photos are mostly high quality and give me a perspective on almost every aspect of the glacier. During those flights, an onboard camera automatically photographed left oblique, right oblique and vertical perspectives, called Trimetrogon Aerial Photography. 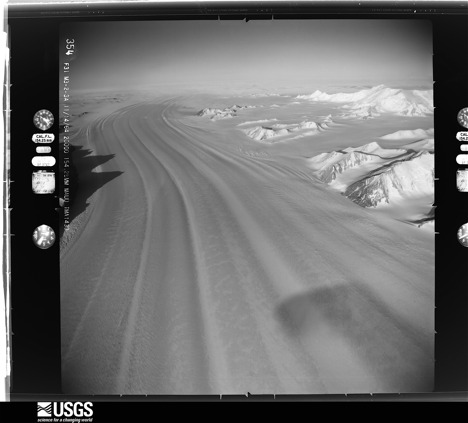 One of the images attached, courtesy of USGS. 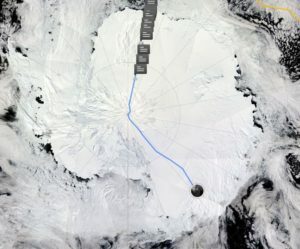 Exweb/Pythom: How does this new route compare (as far as you can see on photos or sat images) to The Shackleton, Axel Heiberg and Beardmore Glaciers, to get on the Plateau? I am specifically not asking about Leverett Glacier, because that route is the well-groomed ice road from McMurdo to the South Pole. Eric: It’s not really possible to comment on how Reedy compares to the other Transantarctic glaciers as a route to the plateau. One of the reasons for doing a new route is to find out! There are many crevasse fields on Reedy, one spanning the entire width of the glacier, but that doesn’t daunt me and is no different to many other Antarctic glaciers. Aerial perspectives, particularly sat images, can often look imposing, even impossible, but once you are there on the ground and in the thick of it, you find a route. Many of my earlier expeditions – Ellesmere Island in 1992, Greenland in 1995, Shackleton Glacier to South Pole in 98-99, and even my recent solo Ulvetanna kite-ski trip – covered untrodden ground. It’s exhilarating not knowing exactly what lies ahead. It’s also a clarion call to adventurers to follow the path less travelled from time to time. The Beardmore and Axel Heiberg are both well used routes, both have their interesting challenges and features, but neither interest me. The Leverett would never be a consideration as it is used as a road by the Americans to resupply South Pole station. And the Shackleton? Well, it was a beautiful route and has only been used once since I did it, by Liv Arnesen and Ann Bancroft in 2000-01. Henry Worsley wanted to descend it early this year but sadly never had the chance to do so. None of these glaciers appeal like Reedy do. 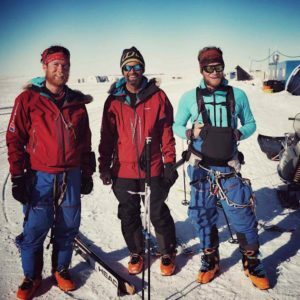 Together with Australian Keith Tuffley and Rob Smith from England, we’ll become the first to traverse its length and to use it as a route to the South Pole. Tell us more about the two men who are joining you, please. Keith Tuffley is the Managing Partner & CEO of The B Team, a non-profit initiative that is redefining the role of business in society and tackling some of the world’s biggest challenges. 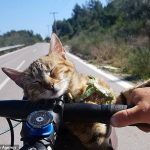 An avid adventurer, in 2013 Keith embarked on his Grand Tours Project, cycling every stage and every kilometre of the three Grand Tours (Giro d’Italia, Tour de France and Vuelta a España), on the same day as the professional riders, becoming the first person to achieve this feat. 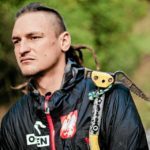 He has climbed most of the 4,000m peaks in the European Alps, and has led expeditions to the Antarctic Peninsula, the Karakoram Ranges, the Andes, and the NZ Alps. 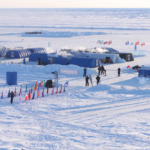 He is the owner of the expedition yacht, Abel Tasman, which runs tours in the Antarctic and Arctic regions, and in April this year he skied 150km to the North Pole. He lives in Switzerland with his family. Rob Smith: Cancer has been a dominating force in Rob’s life, taking the lives of his best friend and his mother. One month after his mum’s death Rob then found himself diagnosed with cancer. 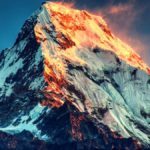 Having undergone surgery and chemotherapy and an extensive 2-year battle, Rob eventually overcame the disease. A deep realisation took seed, that we as a community should value our health and wellbeing, and that we should fight back against the ravages of cancer. Rob began searching for new directions, new ways to push himself that would include helping cancer research raise the money needed to banish cancer. Since serving in the military Rob has worked as an IT sales professional for over twenty years, predominantly in the insurance industry. 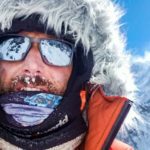 Rob is an avid skier and in April he also trekked to the last 150 km to the North Pole, completing phase one of his project, Trek2Poles. Rob lives in the UK with his 10 y/o daughter. Keith kicked this project off, he wanted a South Pole trip with a difference. I proposed a new route and he was hooked. Rob also enquired about a SP trip and immediately took to this project. 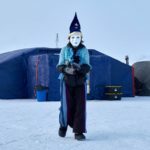 Rob and Keith joined one of my [Last Degree / 150 km] North Pole trips this year, both as a standalone adventure and as training for South Pole. The Australian schoolgirl that I guide on a LDNP this year, Jade Hameister, is also interested in South Pole but she can’t attempt anything up on the plateau until she’s 16. This is a strict policy upheld by all of the operators. 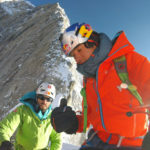 Horrell: Nepal’s scramble for first ascents – or are they?